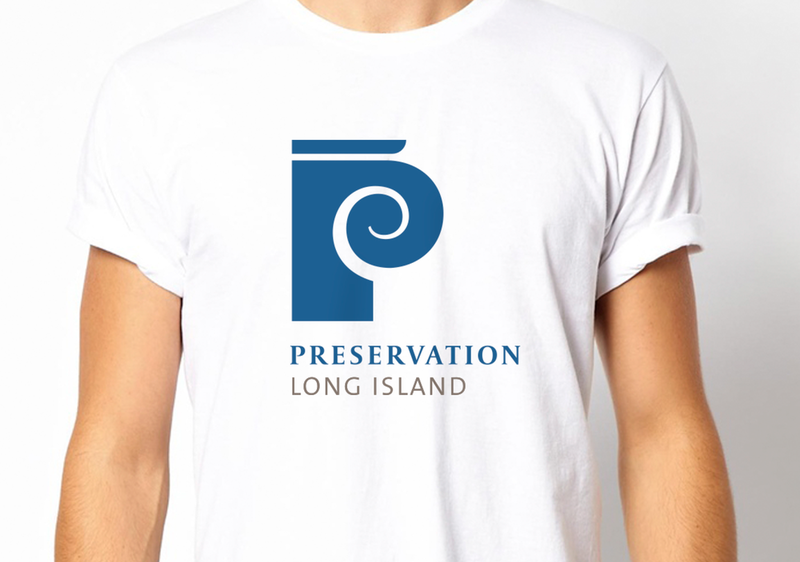 Malcolm Grear Designers created the new visual identity for Preservation Long Island. The previous name, The Society for Preservation of Long Island Antiquities, in addition to being a mouthful, had become a real obstacle to reaching new and younger audiences. With the name change came the need for a new look for an organization that is very active throughout Long Island — from Brooklyn to Montalk Point. Through advocacy, education and stewardship, Preservation Long Island works to maintain and develop the connection between Long Island's past, present and future. The new image is based on the letterform "P" combining the letter with the profile of an ionic column as a visual symbol of antiquities. The column also symbolizes strength, stability, wisdom, and sense of history being passed on to future generations. Integrating the column with the initial letter “P” of Preservation creates a very powerful and memorable image that is easily recognized and remembered. At first glance one sees the column and then perceives the letter “P” — cementing the connection to new name Preservation Long Island. This balance of the classical and historical with the clean, contemporary letterform creates an image that is welcoming, accessible, and people can attach their own experience and meaning to it over time. The reference to the column also speaks to the “built” world — the art and craft of historical antiquities and architecture. It imbues a sense of value — both culturally and financial — to the pursuit of preserving Long Island’s history. The spiral form of the volute also reminds us of the form of a wave, referencing the waterfront that has such prominence in life on Long Island. The pure geometry of the volute serves to draw you in when used as a large graphic device. The Preservation Long Island visual identity is more than just the symbol alone. It is a system made up of several key design components working together. Working in concert with the symbol is the word mark “Preservation Long Island” which carefully combines classic serif type with the clean and contemporary form of sans serif type. This combination serves to speak to a wider audience and works in a variety of applications and media. The color palette has been carefully considered to achieve a balance between history and appreciation of the past with a sense of welcome, fun, and community engagement. The blue primary identifying color represents stability, trust, calm, water, sky, as well as depth, wisdom, and confidence. 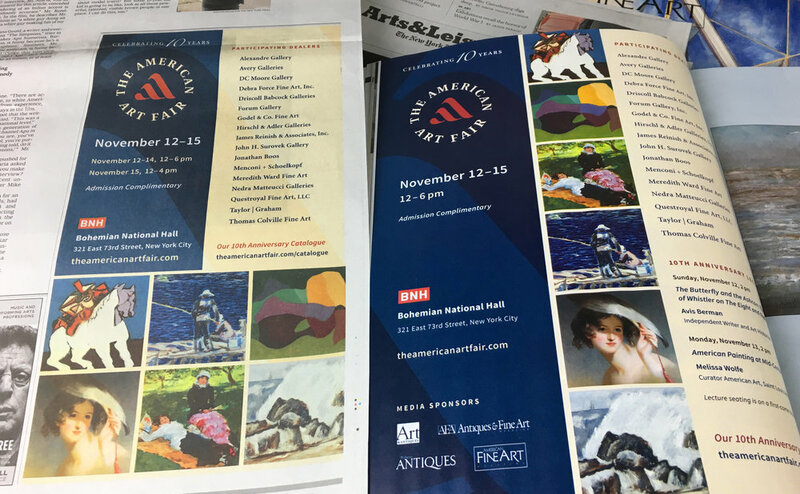 Malcolm Grear Designers has also been retained to design print collateral as well as signs and environmental graphics for their four properties: Sherwood-Jayne Farm in East Setauket, the Custom House in Sag Harbor, the Joseph Lloyd Manor in Lloyd Harbor, and their headquarters located in the Old Methodist Church in Cold Spring Harbor. Designed by Malcolm Grear Designers, production by Sandra M. Klimt, Klimt Studio, Inc., this 185-page softcover book features 82 full color plates and is accompanying the exhibition on view through May 13, 2018 at the Amon Carter Museum of American Art. 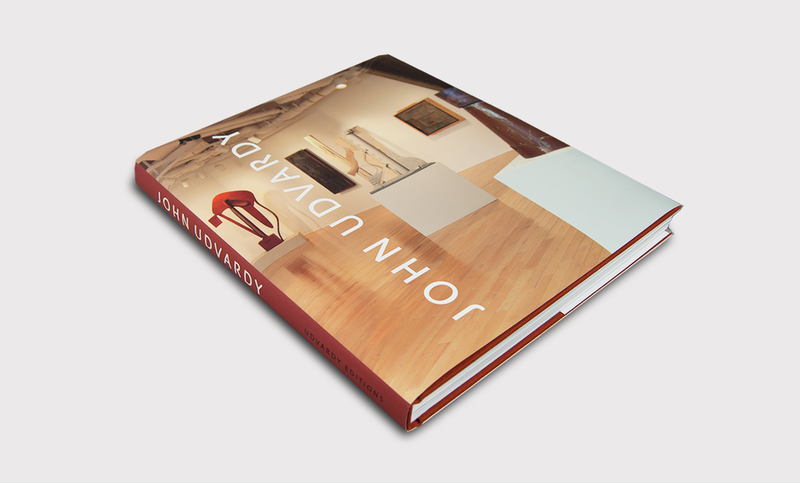 The book is also available through the Portland Museum of Art where the exhibition originated. 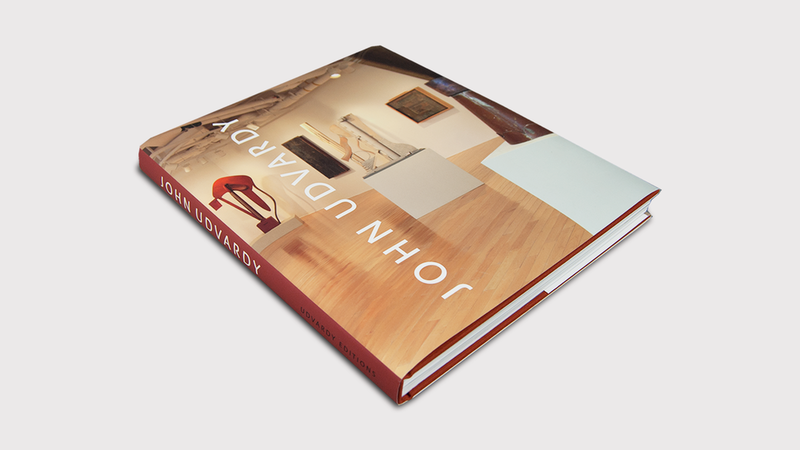 Edited by Andrew J. Eschelbacher, Susan Donnell and Harry W. Konkel Associate Curator of European Art at the PMA. Essays by Eschelbacher, Michaela R. Haffner, Ronald Harvey, Shirley Reece-Hughes, and Roberta K. Tarbell. Distributed by Yale University Press. 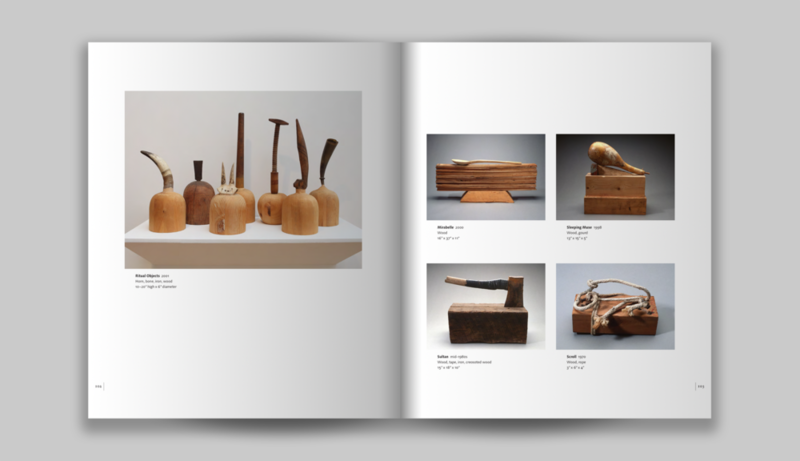 Malcolm Grear Designers has collaborated with the Portland Museum of Art on several catalogues. Spencer Finch: The Garden in the Brain, 2017, is a percent-for-art commission for Brown University's new Engineering Research Center. It is a series of nine interventions into the fabric of the building. Tessellations, designed by Finch, are incorporated into fretted glass, plywood paneling, ceramic tile, wood flooring, and concrete pavers throughout the building. Artist lecture Wednesday, February 7, 4:00pm. Reception to follow. Located at the Engineering Research Center, 345 Brook Street, Providence, RI. 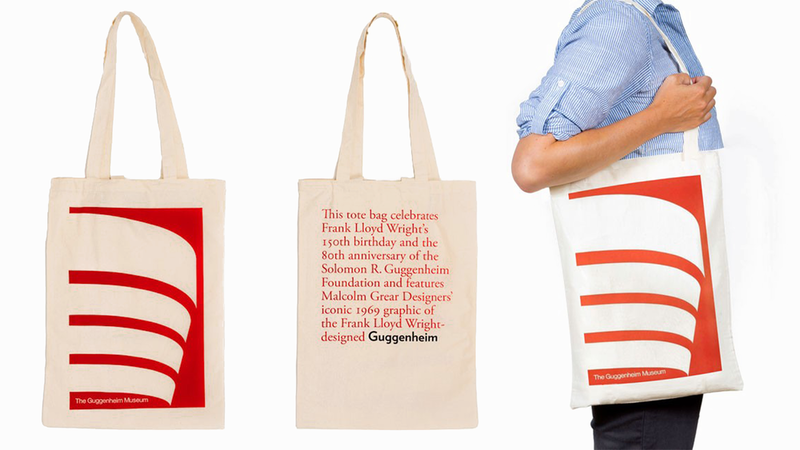 Malcolm Grear Designers created the promotional materials and art labels for the installation. Seeking graphic designer with 4+ years experience. Strong in print/typography, 3-dimensional/environmental graphics, interactive/web. Enjoys working as team member. Bachelor of Fine Arts Graphic Design. Fluent in InDesign, Photoshop, Illustrator, WordPress, Acrobat, HTML/CSS. Independently motivated to learn new software and updates. Send brief cover letter, resumé, and portfolio (PDF or URL) to jobs@mgrear.com. One of the best ways to fight plastic pollution is to guard against it entering our waterways in the first place. The Blackstone Park Shoreline Cleanup is Saturday, April 8, 12pm. Meet at the Narragansett Boat Club, 2 River Road, Providence, RI. Dress in clothes you don't mind getting a little dirty, and wear sturdy, closed-toe shoes. Children under 16 should bring an adult. Trash bags and disposable gloves will be provided. Please feel free to bring your own work gloves if you have them, and your own reusable bottle of water. Please register at http://cleanup.app.rsvpify.com/. The Blackstone Park Shoreline Cleanup is Sponsored by Save The Bay and Friends of Blackstone Park with support from the David Winton Bell Gallery, the Brown Arts Initiative, and the Narragansett Boat Club. The David Winton Bell Gallery presents Pierre Huyghe | Untitled Mask and Gabriel Martinez | Mountain War Time, on view until May 28, 2017. Pierre Huyghe is renowned for making art that challenges the conventions of the exhibition, exploring the possibilities of its dynamic experience. 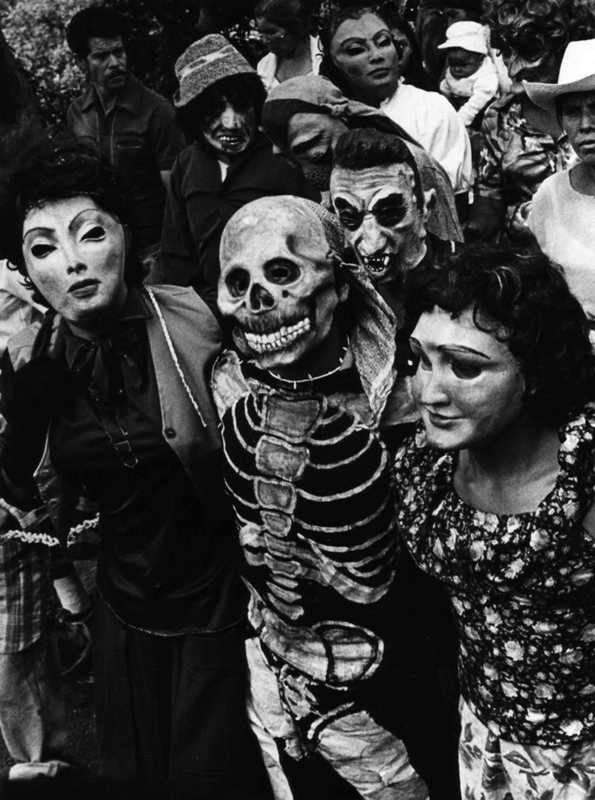 This exhibition is the New England premiere of his recent film Untitled (Human Mask) (2014). Set in the landscape of manmade devastation that surrounds Fukushima, Japan. Gabriel Martinez presents a series of x-rays created from the exposure of the film to pieces of trinitite. Named after “Trinity”—the site of the first atomic weapon detonation in 1945 near Alamogordo, New Mexico—trinitite is created when an atomic bomb explodes over gypsum sands, fusing the granules into a radioactive glass. Conversation with Gabriel Martinez 5:30pm, Friday, March 17 at the List Art Center Auditorium. Opening reception to follow. The David Winton Bell Gallery and the Brown Arts Initiative presents Chris Jordan | Message from the Gyre, on view until March 24, 2017 at the Granoff Center for the Creative Arts. Chris Jordan focuses his and our attention to the shocking reality, difficult but important to view—the decomposing carcasses of Laysan albatross that have died from ingesting plastic. Jordan confronts us with the consequences of our lifestyle and calls on us to take action toward change. Opening reception will be held Friday, March 3 at 6:00pm in the Cohen Gallery. With Peter and Paula Lunder’s recent gift of over $100 million, including over a thousand works of art, Colby College and the Colby College Museum of Art have launched the Lunder Institute for American Art. The Lunder Institute will support scholarly research and exhibitions of American Art, and collaborative initiatives with artists, curators, scholars, students, as well as museums and art institutions across the country. This tremendous gift of art and the endowment of the Institute helps the Colby Museum reach and engage a wider, more diverse audience. Projected on screens, emblazoned on tote bags, mugs, ads, etc., Colby unveiled the Lunder Institute’s visual identity — designed by Malcolm Grear Designers. The design of the Lunder Institute logotype provides a distinctive look for the Institute while maintaining a clear visual connection to the Colby College Museum of Art brand —also created by Malcolm Grear Designers. Our studio developed the identity for the Lunder Collection as well as print collateral pieces such as the Museum’s visitor guide, media kit, ads, etc. We designed the signs, wayfinding, and donor recognition for the Museum’s new Alfond-Lunder Family Pavilion, each expressing elements of the overall Colby Museum brand. We also developed the branded bumper graphics for the Museum’s videos.